Where did the year go?! It seems like just yesterday we were sunbathing along the Chesapeake Bay or soaking in the brilliant display of Maryland’s fall foliage, but winter is finally upon us. There’s no better way to spend the last chilly months of the year than taking a look back at some of the best and most beautiful wedding venues we’ve featured over the last year. The Smokehouse Grill has all of your Maryland wedding catering needs covered-- from mouth-watering appetizers to delicious barbeque, scrumptious salads, and decadent desserts. However, catering isn’t the only item on your wedding-planning agenda. Kylan Barn is a beautiful country escape for your wedding any time of year. Image courtesy of @kylanbarn on Instagram. Girls have always daydreamed about their weddings.  Whether you’re an old school magazine clippings kind of girl or the next generation of Pinterest DIY wedding planners, every bride-to-be has spent some time searching for inspiration. In doing so, you may have noticed how popular rustic or country weddings are becoming-- and it’s easy to understand why! Choosing a country escape for your wedding venue lets you really immerse your ceremony or reception in nature’s beauty. Plus, airy barns and sunsets over country fields make a stunning backdrop for wedding photos. Kylan Barn is one of Maryland’s loveliest winter wedding venues. Located in picturesque Delmar, MD, the quaint countryside escape boasts more than 35 acres of beautiful, uninterrupted nature. Kylan Barn’s grounds also feature sparkling ponds and a rustic barn, which is the perfect spot for any reception. 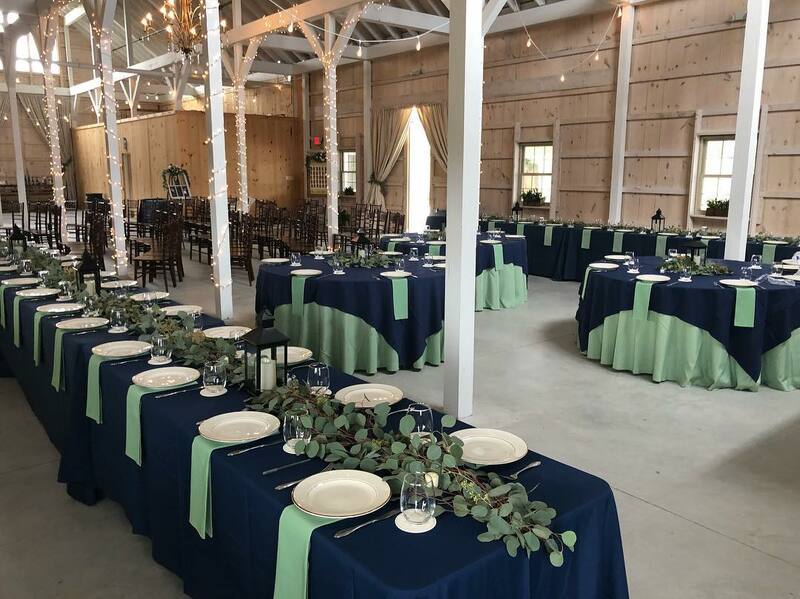 The barn at Kylan Barn offers a spacious 3,400 feet of reception place, giving you plenty of room for dinner, dancing, and whatever else the night has in store! Swan Cove Manor is a historic estate with plenty of picture-perfect views of the water. Image courtesy of Procopio. One of the the 13 original United States colonies, Maryland’s long and storied history is something that many Maryland natives and transplants alike are proud to preserve. Maryland is home to countless historic estates, each carefully reserved to preserve its charm for future generations to enjoy. That makes historic wedding venues-- like Swan Cove Manor-- an excellent option for Maryland brides who are selecting ceremony or reception space. Swan Cove Manor is one of the best historic waterfront estate wedding venues in Maryland because it is both beautiful and unique. The estate is home to 2 gorgeous manor homes-- each home to 5 bedrooms, 3.5 baths, and a private dock. The older of the two manor homes is the Chart Home, which was built in 1871 and has retained its historic charm for more than a century. Whether your winter wedding is going to be a formal event or a casual affair, Swan Cove Manor is sure to please. With its elegant buildings and uninterrupted views of the Chesapeake Bay, Swan Cove will make any wedding an instant success. 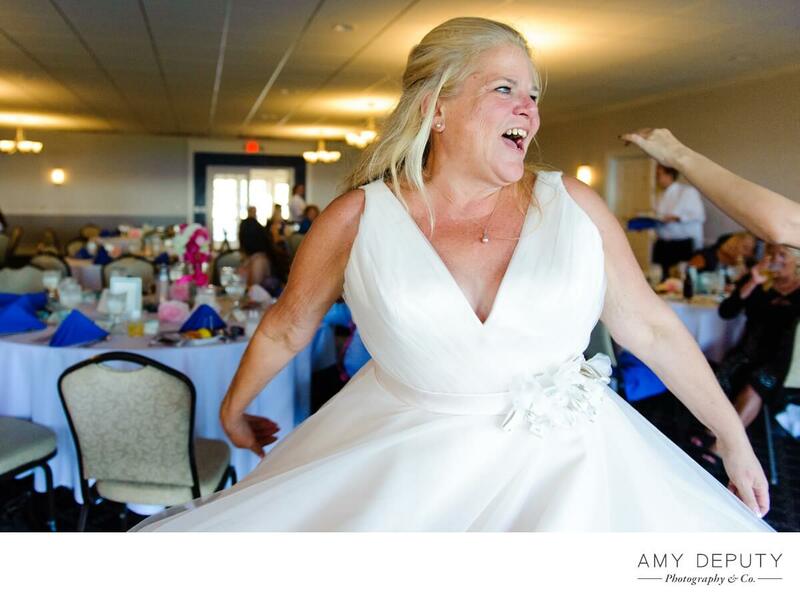 Beautiful bride Kathy celebrates her marriage to husband John with a twirl at her Kent Island Yacht Club Wedding. Image courtesy of Amy Deputy Photography & Co. Whether you grew up in Maryland or are a Maryland transplant, you know how important the ocean is around here. And how could it not be? 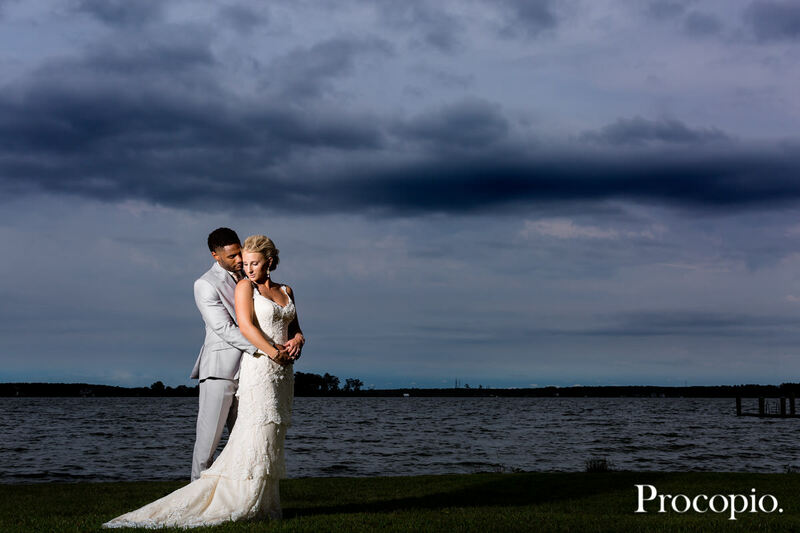 The ocean is a stunning example of natural beauty, and the abundance of parks and estates along the water give Maryland brides plenty of breathtaking options for a waterfront wedding. Kent Island Yacht Club is an excellent option for Maryland brides who are simply drawn to the water (we don’t blame you-- the views are incredible). Located on a peninsula, the 10-acre estate boasts amazing views of the water on three sides. Another reason we love the Kent Island Yacht Club is because they understand how crazy the wedding process can be. That’s why they offer a variety of convenient packages to simplify planning as much as possible-- giving you more time to look forward to your big day! 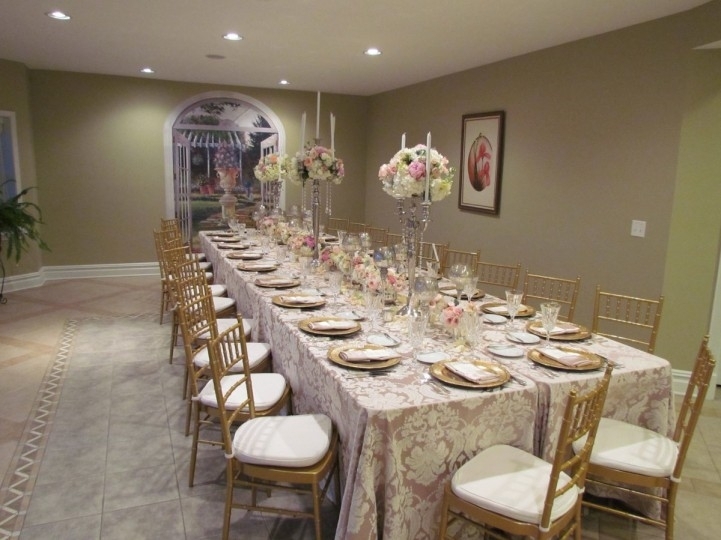 This elegant table is ready for a wedding celebration at Maria’s Love Point Bed and Breakfast. Image courtesy of Wedding Wire. Even if just for a moment, every bride has considered a destination wedding at some point in her life. 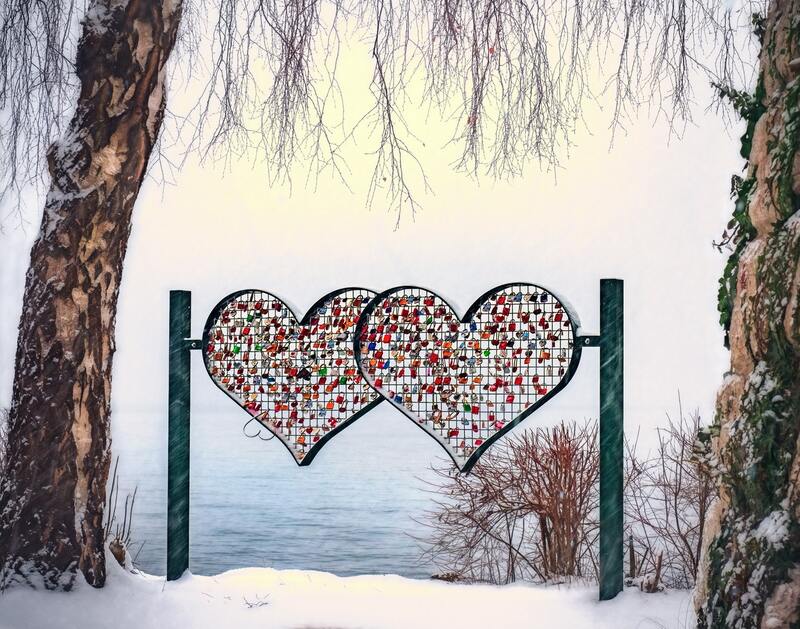 Maybe getting your entire wedding party to Europe isn’t quite in the budget-- but luckily, you don’t have to travel very far to find a scenic getaway for your winter wedding! Located next to Kent Island in Stevensville, MD (less than 20 minutes from Annapolis and just 1 hour from Baltimore and Washington, D.C.), Maria’s Love Point Bed and Breakfast is a romantic waterfront estate with breathtaking views of the Chesapeake Bay and Chester River. The sprawling grounds are kept in picture-perfect condition all year long, making it a great option for your wedding reception or ceremony space. Maryland is full of romantic wedding venues for every season. There you have it-- 4 of the hottest wedding venues in Maryland to fuel your wedding planning through the coldest months of the year. What do you think of our favorite winter wedding venues? We’d love to hear from you in the comments below! Once you’ve settled on the perfect wedding venue, get a quote for some of the best wedding catering in Maryland with The Smokehouse Grill’s online quote request.